Essential oils are pattern interrupters. As we inhale them, their all-natural aromatic compounds literally interact with our olfactory nerve and contribute to breaking up our routine pathways of thought. If we position positive thinking with using an essential oil, we can support our mind in reversing the neurochemistry of negative thoughts (which affect our health in negative ways), and inspire a positive thought that can help rewire our brain in positive ways. 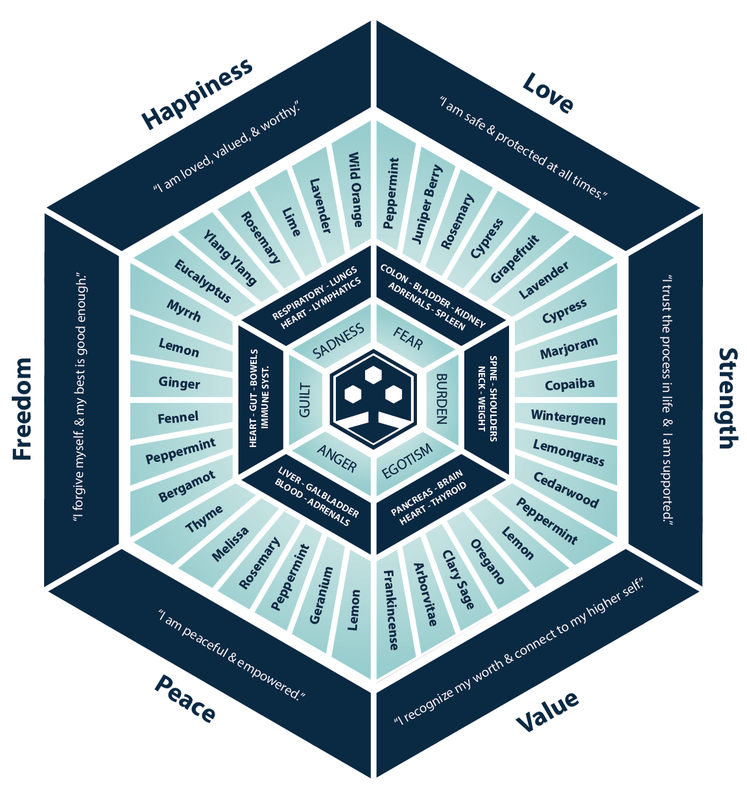 The Emotions Mentor Wheel is a simple tool that you can use on your own to identify an emotion, reorganize your thinking and include an essential oil in the process to help the healing process speed up.